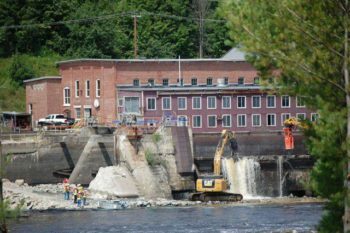 American Rivers is calling on all federal dam-owning agencies to become more active in removing dams and restoring rivers. Dams fail. It’s inevitable and it’s happening now. 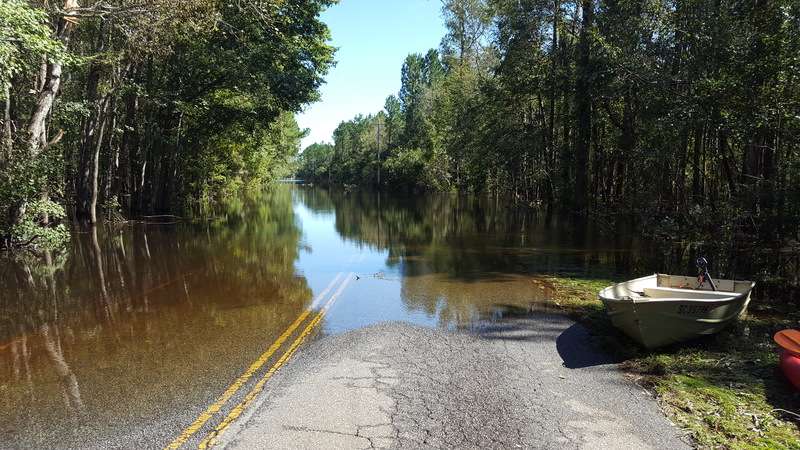 Just recently, Hurricane Matthew caused widespread flooding and more than 20 dam failures in North and South Carolina. Rewind one year to October 2015— same place, different storm. One out of every 50 dams regulated by the State of South Carolina failed (plus hundreds of unregulated dams). This was the second most costly environmental disaster in South Carolina’s history — $12 billion. And more devastating than the financial cost is the loss of life (so far 59 people in the U.S. between the two storms) and destruction of homes and businesses (more than 1 million structures destroyed in Hurricane Matthew). Fast forward to early October 2016, thousands of people have been evacuated from their homes due to the threat of dam failures in North Carolina. Plugging a hole the size of a truck will require more than a little duct tape. Part of the problem is that we aren’t thinking ahead. Many dams look very formidable. Big walls. Strong. But concrete breaks down over time, especially when subject to the forces of nature. So does brick and mortar. And earthen dams? No doubt. We need a commonsense approach to managing our infrastructure. Dam failure can result from any number of issues, including: inadequate spillway design, spillways blocked by debris causing dam overtopping, land use change causing increased runoff, outdated technology and design, changing weather patterns that alter flow rates, defects in the dam’s foundation, settlement of the dam crest, internal erosion of the dam caused by seepage (this can happen around pipes, animal burrows, plant roots, other cracks), structural failure of the materials used in dam construction, and/or inadequate maintenance of the structure. Dams are deteriorating faster than they can be repaired. According to the Association of State Dam Safety Officials, the cost to rehabilitate our nation’s dams would be more than $70 billion (high hazard dams alone would cost $18.2 billion to rehabilitate). Meanwhile, state dam safety offices are historically underfunded with a limited number of staff responsible for inspecting hundreds of dams. This tends to result in a focus on only those larger structures that pose a higher risk to life and public and private property should they fail. Smaller structures may be inspected infrequently, if at all, creating a threat to public safety. While many of these dams are “low hazard,” that is not the same as no hazard. Failure of small dams has been known to wreak environmental damage and cause significant downstream damage to things like driveways or roads. There are also social behavior issues surrounding dams, which confound safety concerns. People seem to love to play on, in, and around dams. Paddling, fishing, swimming, sunbathing. It all seems fun until you get sucked into the hydraulic undertow. This is a huge problem. How can we begin to tackle it? There are tens of thousands of dams around the country that no longer serve the purpose they were built to provide and whose removal could eliminate the cost and liability associated with owning a dam. Unless they are well maintained, their condition only gets worse every year. The most cost-effective and permanent way to deal with obsolete, unsafe dams is to remove them. 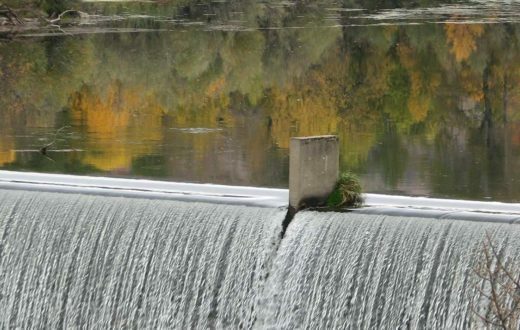 We support modifications to state dam safety programs that increase dam owner responsibility for dam inspections, as recommended by the Association of State Dam Safety Officials. 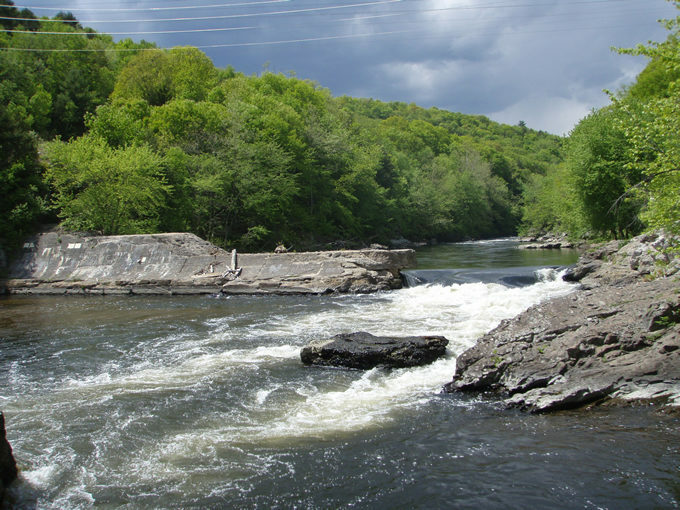 States that have adopted this approach have been able to ensure that more of their state’s outdated and deteriorating dams have safety inspections and that dam owners follow up on the results of those inspections by repairing and maintaining their dams. Owners of dams that no longer function as intended may also find removal more beneficial than the cost of ownership. Recently, U.S Secretary of the Interior Sally Jewell highlighted the critical need to remove obsolete dams to improve the safety of our nation’s rivers. In recent years, the U.S. 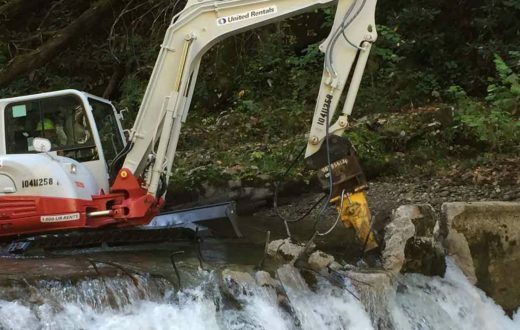 Fish and Wildlife Service (USFWS) has expanded their technical assistance capacity in some regions, partnering with local groups like American Rivers in the Southeast to provide design and deconstruction assistance on dam removal projects. 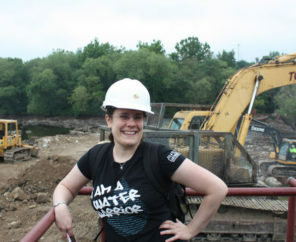 This effort has grown from a series of small demonstration projects to what is now a highly capable, trained team of demolition experts within the USFWS who are now able to take on a wider diversity of dam removal projects. Collaborative public-private partnerships like this are incredibly important if we are ever to address the massive number of obsolete dams still clogging our nation’s rivers. Increasing the capacity of federal agencies to actively engage in projects helps to reduce the ultimate cost of removal and increases our ability to address the backlog of problem dams. Ensuring strong state and federal programs for removing outdated dam infrastructure is a commonsense approach for eliminating hazards, increasing resiliency in vulnerable areas, and restoring our rivers for the people, fish, and wildlife that rely on them. Help us restore even more rivers in 2017. Make a gift today and your donation will be matched $2 for every $1 you give. Stanford University owns Searsville Dam, a major deadbeat dam. 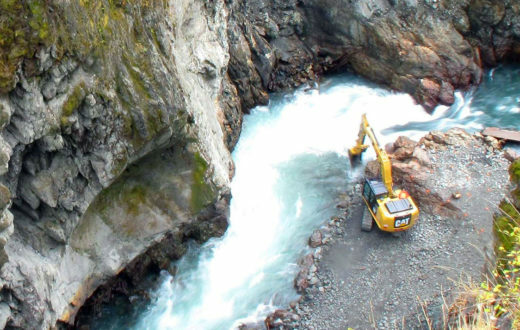 It blocks salmon and steelhead, the natural flow of gravel, sediments, etc. Please continue to help them or at least pressure them to remove this very destructive obsolete dam. DAMS KILL! THEY KILL WILDLIFE AND DESTROY PEOPLE’S LIVES. THE ONLY THING THEY DON’T KILL AND DESTROY ARE THE ENERGY COMPANIES AND THOSE WHO BUILD THE DAMS. This is common & scientific sense, not to mention long overdue. please start NOW! Frankly, I say focus on dams in blue states. The red staters are incapable of understanding the harm they do. We MUST be more thoughtful about animals and the environment and how the actions of man impacts other species and the future of generations to come! Dams are counter productive. Stopping the flow and energy of water interupts the circle of life. When dams come down wildlife thrives and so do peope. Dams no longer in use need to be removed for safety of the unwary and to preserve the environment. I doubt that the resources for dam removal will materialize, under the Trump regime. We need to remove dams to save our wildlife. Outdated and hazardous dams certainly should be removed. Water should not be a bargaining chip. God bless. Dams have proven to be problematic on a number of fronts. Their removal has proven a boon to whatever size waterway they’re removed from. Explaining what’s entailed to the public can go a long way. Outdated and hazardous dams certainly should be removed. But there are dams that do ease flood problems downstream. So look into all of the costs and benefits of each and every dam before insisting on removal. Also, in the west the late season snow melt from the mountain tops has provided the summer and autumn stream flows. Global warming is causing those high mountain snows to melt earlier in the year, thus reducing late season streams. 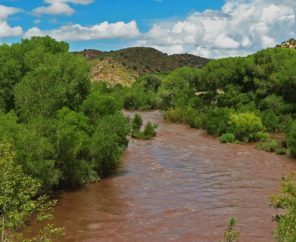 It may well be that in order to insure that there is adequate water in August and September dams will be needed at the higher elevations to store the early runoff for later use. If this is the case, and it sure seems that it will be, the dams must be designed and engineered so that fish and other aquatic species can pass both ways past the dams. Yes, those dams will raise the temperature of the streams and the rivers, but it will be a case of warmer water or no late summer water. can collapse. Burst. Which is a safety risk. The closer we get to completely restoring nature to near pristine shape, the healthier the Earth will be. Dams be damned. Remove them or be damned. Time to remove obsolete dams and dams that were badly placed to begin with. Is there a map somewhere online, or a list, of the dams that no longer serve the purpose for which they were built? Please remove these dams. They are doing more harm than good. Do the right thing for the environment! Owners of neighboring properties are generally notified that a dam will be removed nearby. Notification of the entire community will only happen in certain circumstances, depending on dam size, dam ownership, hazard classification of the dam, and other factors. 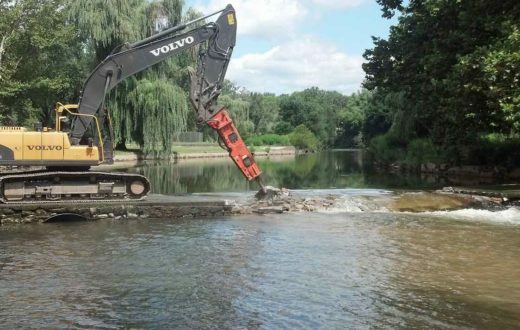 Some dam removals have required public notification requirements and others do not. States may have different public notification requirements as well, so it does depend on where you live. People would rarely (if ever) need to evacuate homes in the event of a dam removal. Do the citizens have the right to know if the mayor or governor will open up a dam in there town and when? Will the citizens be ask to evacuate their homes?